Will wonders never cease? A SERM actually designed for men? How about that for news! And news it is: Androxal promises to be an exicting new medication that has the potential to steal away a singificant portion of the testosterone therapy market for reasons that I will cover below. (As of this writing, it is not yet FDA approved but may be released in 2016 according to some estimates.) For those who don't know, Androxal is simply the enclomiphene isomer from the well-known medication called Clomid. The other isomer in Clomid, zuclomiphene, was notorious for causing "estrogenic" side effects in men. There is another reason that a man on HRT should be concerned about the shutdown of his pituitary: what if he has to go off of HRT? There are certain medical conditions - intractable high hematocrit, blood pressure or PSA for example - where a man can be forced of all testosterone therapies for a period of time and perhaps indefinitely. This is not as uncommon as you might think. What happens then? The theory is that the patient just returns to his old baseline testosterone levels after a few months and proceeds as he did before HRT. That sounds like a good theory and it often works out that way. However, there are reports that some men do not snap back completely to their old testosterone level, especially as they age. This could be lifestyle or other non-HRT-related factors of course. However, it is also possible that it is due to an inactive pituitary. 1. Maintain Pituitary Function. Assuming a low T man has a functional hypothalamus and pituitary, which is usually the case from what I have seen, he is a candidate for Androxal. Androxal works on the hypothalamus, which signals the pituitary, which, in turn, stimulates the testes. The obvious advantage to this strategy is that the pituitary is forced to work - use it or lose it, eh? - which should limit any atrophy of this gland that might occur as the years roll by. Standard HRT bypasses the pituitary and will even shut it down somewhat. "After six weeks of continuous use, the mean Â± SD concentration of TT [total testosterone] at Day 42 C0hrTT, was 604 Â± 160 ng/dL for men taking the highest of dose of enclomiphene citrate (enclomiphene, 25 mg daily) and 500 Â± 278 ng in those men treated with transdermal testosterone. These values were higher than Day 1 values but not different from each other (p = 0.23, T-test). All three doses of enclomiphene increased C0hrTT, CavgTT, CmaxTT, CminTT and CrangeTT. Transdermal testosterone also raised TT [total testosterone], albeit with more variability, and with suppressed LH levels." 1. Natural Molecule. I have always felt that HRT was natural, because it is generally bioidentical (or darn close in the case of the injectible esters). Your body is used to it and even "craves" it if you are deficient. However, this is not the case with enclomiphene. No matter how you look at it, it's an artificial, synthetic substance that may have some sort of unexpected impact. At this time, it is difficult to say just how much of an issue this is, since we have very few details on side effects and adverse events. But so far all SERMs have such a profile and I doubt that Androxal will be unique. So the question becomes a matter of long term safety. My two cents - and I certainly don't have a crystal ball any more than anyone else - is that well done HRT is very safe for the solid majority of men. It has done very well in the studies overall and, furthermore, has been around for decades now. Is Androxal something that can really be used for decades? I will only say that it is a pretty rare medication that goes into the plasma without touching anything except its target receptor and then exits (along with any metabolites) gracefully without affecting something along the way. --3% and 7% of patients withdrew on daily dosages of 12.5 mg and 25 mg, respectively. The reasons for this are unknown, but perhaps it was due to unpleasant side effects? 2. Higher Testosterone Levels. In my case, I have found that I need about 600+ ng/dl for morning erections to return and I believe that morning erections are important generally for penile health. Notice that in the above study, the highest dosage of enclomiphene (25 mg) only achieved an average level of about 600 ng/dl. And in the fertility study mentioned above, the average testosterone was only about 550 ng/dl. Some men may want to go a bit higher and, short of taking off label amounts on enclomiphene, will not be able to do it. Interestingly enough, the phase 2 trails for FDA Approval produced even lower testosterone numbers. The only participants allowed in the study were men with total testosterone under 250 ng/dl. Men given 12.5 or 25 mg of Androxal daily raised their testosterone from an average of 217 and 210 ng/dl to 471 and 405 ng/dl, respectively. That 405 ng/dl is just not that impressive in my opinion and I think that the majority of hypogonadal men would not get significant relief from their low testosterone symptoms at that level. Perhaps physicians will give out 50 mg, though, and this will help. Time will tell. 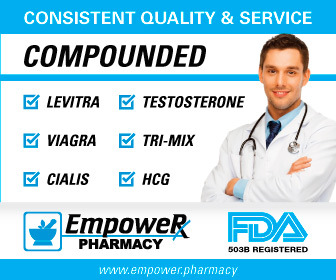 What I am wondering is if the zuclomiphine isomer within Clomid is actually responsible for a significant portion of Clomid's testosterone boosting powers? 3. Tight Control of Testosterone. As of this writing, we do not know what dosages of Androxal will be available. Patients have some ability to hit a target testosterone level via pill splitting, but injectible testosterones give much more granular control. A man can target with about a 100 ng/dl a target testosterone level. 4. No Loss of Efficacy. I saw a surprising number of men on Clomid, whose testosterone levels would slowly drop in the first few months. Will some men on enclomiphene experience the same thing? It's difficult to say. 5. Tight Control of Estradiol. Many men on The Peak Testosterone Forum want tight control of their estradiol levels as well and argue that control of E2 is just as important as control of one's T. Injectibles, especially more frequent subQ protocols, allow for this kind of estradiol management. CONCLUSION: Assuming Androxal is reasonably priced, I think it is safe to say that it will be very popular particularly with younger men who wish to maintain their fertility and with any man who has a concern with pituitary function. However, I believe that many men will shy away from it, because it is synthetic and in many cases will not raise testosterone to normal youthful levels. 1) BJU Int. 2013 Jul 12, "Testosterone Restoration by Enclomiphene Citrate in Men with Secondary Hypogonadism: Pharmacodynamics and Pharmacokinetics"
3) Journal of Sexual Medicine, Jun 2013, 10(6):1628â€“1635, "Oral Enclomiphene Citrate Stimulates the Endogenous Production of Testosterone and Sperm Counts in Men with Low Testosterone: Comparison with Testosterone Gel"
6) Fertil Steril, 2014 Sep, 102(3):720-7. doi: 10.1016/j.fertnstert.2014.06.004. Epub 2014 Jul 17, "Enclomiphene citrate stimulates testosterone production while preventing oligospermia: a randomized phase II clinical trial comparing topical testosterone"